With its sandy shores, deep water and shade-giving red gums, Lake Meran in Victoria’s sunbaked Loddon-Mallee in Australia is a wonderful swimming and fishing spot for visitors. But, on January weekend, tens of thousands of dead fish washed up on the lake’s grassy beaches. It is a matter of great concern that as many as a million fish are being died along the banks of a major river system in drought-battered eastern Australia. The authorities warned Monday that these rotting fishes need to be “urgently” removed from Australia’s Darling River as there is a possibility of more deaths. The banks of the Murray-Darling Rivers have become thick with rotten fish and officials are saying the number is likely to get closer to one million. Also, the New South Wales government has warned that the high temperatures forecast for this week could make the situation even worse than before. Presence of low water conditions and the heat have also encouraged an algae bloom that starves the fish of oxygen and produce toxins. This alarming situation has become a national issue which is sparking angry allegations about the cause and needs antitode at the eleventh hour. “It’s a devastating ecological event,” said Prime Minister Scott Morrison on Monday, pointing to apocalyptic scenes. “The sheer visual image of this is just terribly upsetting,” he added. Furthermore, Morrison’s government has blamed the fish deaths on drought and defended policies which some locals say has caused the systemic depletion and pollution of the river system. But for years scientists have been warning people to be cautious while extracting vast amounts of water without checking for irrigation or other uses, undercutting billions of dollars of investment. In order to tackle the situation, opposition leader Bill Shorten called on the government to set up an “emergency task force” to address the issue. According to the environmental scientist, Stuart Khan, “The dead fish need to be collected within the days before they sink to the bottom of the river and become almost impossible to retrieve. If they remain in the water, then bacteria that feast on the carcasses will proliferate and will rob the water of oxygen. 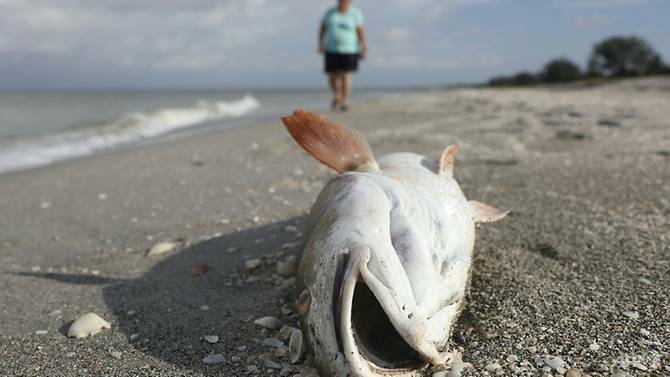 Meanwhile, the decaying fish will release chemicals that could trigger an algal bloom that eventually sparked this mass death event earlier in the week. “Dead fish are great fertilisers, they release nitrogen and phosphorus and that’s what causes algal growth,” said the University of New South Wales professor.